I think MCU Vision was rumored, either for this first or second wave. And but otherwise yeah what a great wave! I would buy it. 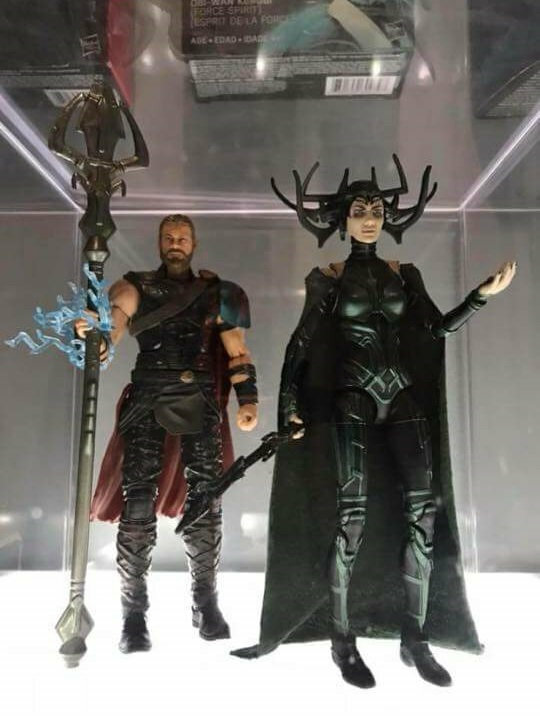 After seeing Thor Ragnarok and getting to see a certain giant fire demon in action, I started thinking about how it might be nice if we got giant guys in two packs, like a versus idea. We would get a really big figure and a regular size figure (like what they briefly did with the 3&3/4 universe figures, but 6 inch scale this time). Black Knight is on his way for next year !!!! I think, if we have these done, we could pretty much declare the X-Line done. Oh there's tons of others we'd like to see, I could probably list and would buy 2-3 waves a year easy, but I think all of this is entirely possible. Of course it won't pan out this way but it's kind of a lineup I could see being done. Waves in the 3.75 line can include the Marvel-owned Microns known as Bug, Marionette, or Atrustus Rann formally of the Micronauts (owned by Hasbro). Release them in the Legends 3.75 inch line, and coincide their release, with a 3.75 inch (re)branded 'Hasbroverse 2 pack' line by Toys R Us. 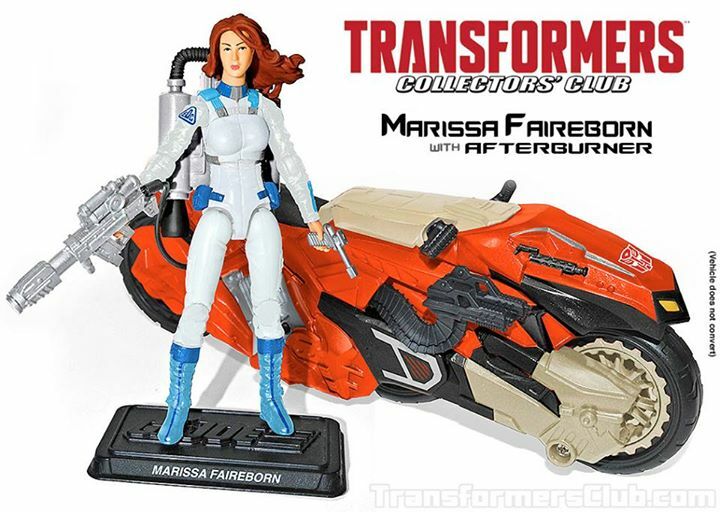 This way we'll get characters from the Marvel-owned Microns and the Hasbro-owned Micronauts. A greater variety of 'Hasbroverse 2 packs' by Toys R Us, can beautifully include figures from all properties (Micronauts, ROM, Transformers, and G.I.Joe included)! Simply include anyone from TF to help sell it. Maybe "brand" it a Transformers product. There's always multimedia backing in a TF toon, film, or great-selling comic every year. This can (re)convince Toys R Us of better sales. Hasbro can just re-paint the Sdcc Revolution figures and include new accessories in such a TRU exclusive. Coupled with ROM and the Micronauts, I'd love to see 2 packs with Dashiel and Marissa Fairborn figures! Anybody registered on TFW2005 or Hisstank.com? Feel free to bring up the idea of 'Hasbroverse 2 packs' to the Mods on their fansites. I'm sure each fanbase has other characters / figures they'd like to see. Last edited by Super Joe; 11-11-2017 at 05:40 PM.. If they do a Bug, I demand a 6 inch Guardians of the Galaxy look! BAF: While he's been done as a BAF before, a new mold would be required for his majesty King Groot, ruler of Planet X! BAF: I've said it before, and I'll say it again, it's high time we pay respect to the Many-Angled One, Shuma-Gorath! Insta-buy wave. I would be curious to see how they would pull of Spiral. They did so well the first time around, I wonder if they'd just reuse the same base mold? Just a few alterations would make her stellar, tbh. Springing out of a comment I made in the main series: A Wolverine themed (Overkill) wave! BAF: Hulkverine/Weapon H - making a stretch on the BAF because I'm not sure of a larger scale Wolverine figure. Venom Wolverine (yeah, it happened. Yeah, I'm stretching). I wish they’d make waves make sense, like.. I'd love some classic Avengers waves with corresponding BAFs like Hank Pym Goliath and Clint Barton Goliath. I would also love an Orca BAF in a Submariner wave, but since I don't see a Subby line happening I wouldn't have a problem with him being part of an Avengers line along with Attuma since both have fought the Avengers. Those would be some great wave themes, I think I'd buy them all. Then again I can't see me not buying an X-Men wave. I would love to see this expanded to Spider-Man 2099 and some other characters. It could be cool. Maybe have them sprinkled into a few waves so it's not so 90's guy obsessed in one wave. Baf cameron hodge in huge armor. Yes to both! Hell, even as obscure as Sinsear is, I'd take him! A comic style Black Order box set. Include all 5 original members and maybe even throw Thane in there. Or maybe a era-specific box set like 90's X-Factor or original Thunderbolts (minus Songbird since we just got her).